Germany won the 2014 World Cup earlier today after outlasting Argentina 1-0 in extra time. The game was a close one and both teams had their chances to win in regular time. The match seemed destined to be heading towards penalty kicks until the 113th minute, which is when Mario Gotze managed to corral the ball with his chest, spin and fire a perfectly placed shot that beat the Argentinian goalkeeper. Lionel Messi had a chance to equalize in the last minute of the game after he was awarded a free kick, but the shot went high and wide and Germany were declared the winners shortly thereafter. James Rodriguez, Columbia's extremely talented striker, ended up winning the Golden Boot (6 goals), while Thomas Mueller walked away with the Silver Boot. Lionel Messi, who continued to cement his legacy as the best footballer of all time in the 2014 World Cup, was awarded the adidas Golden Ball. Manuel Neuer took home the Golden Glove, while Paul Pogba of France took home the Hyundai Young Player Award. 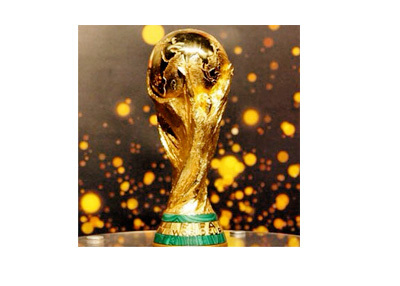 The 2014 World Cup was a phenomenal tournament that provided fans with plenty of unforgettable moments. Who could forget Costa Rica's improbable run? Spain's unbelievable collapse? Germany's historic 7-1 thrashing of Brazil? Tim Howard's spectacular performance against Belgium? Lionel Messi's sublime play? James Rodriguez's incredible display of talent and skill? The World Cup will now move from the relative stability of Brazil to potential turmoil in Russia (2018) and Qatar (2022). There are rumours that Qatar is going to lose the World Cup due to allegations of bribery, with the 2022 event possibly being moved to the United States instead. Russia, on the other hand, also has some potential issues thanks to the current situation in Ukraine. There is a much slimmer chance of Russia losing the World Cup than Qatar, but it is certainly not out of the realm of possibility. Anyways, let's set aside the issues in Qatar and Russia and instead bask in the glow of a phenomenal 2014 World Cup.